It seems little strange to have apples so much on my mind even though apple season is still so far away. Work for the fruit grower certainly comes in spurts, as all of us on the farm discovered with intimacy last Thursday. I mentioned earlier that we are in the process of re-establishing some of the old orchards and increasing our apple production here on the farm. The maintenance of the orchards in the past has been somewhat haphazard and our goal for this project is to develop a more systematic and organized approach to orcharding and to support the overall health of the land through organic and holistic management. That being said, we have spent a good deal of time up in the orchard this winter. A whole lot more, I’m sure, that most conventional growers might spend on a similar number of trees. Each young tree requires pea gravel, spread by hand to discourage weeds, compost to add nitrogen and other nutrients to the soil, weeding when the pea gravel doesn’t effectively dampen the weeds, pruning to be sure it grows in such a way as to support the greatest fruit growth, and a second and maybe third application of pea gravel in hopes that the weeds will eventually decide to grow somewhere else (we’ve spread a lot of pea gravel this winter). Last Thursday we got into a whole new orchard task…planting apple trees! Walker, Jake, and I got started first thing in the morning by attaching a rented drill bit to our bobcat that we used to dig the holes. We worked quickly but soon realized that, in order to plant the 350-some trees that Jamie had purchased, we were going to have a long day. Jamie came to help around noon and several other neighbors showed up to get their hands dirty and enjoy a sunny day in the orchard. Once all the holes were dug and the minerals put in place, actually planting the trees didn’t take much time. All we had to do was fill the dirt back in around the tree, adding pea gravel around the roots to discourage voles, and then tamp down the earth with our feet to give the trees some stability. When Ann closed up the Farmstore at 5, we were still going at it, so she came up to help. 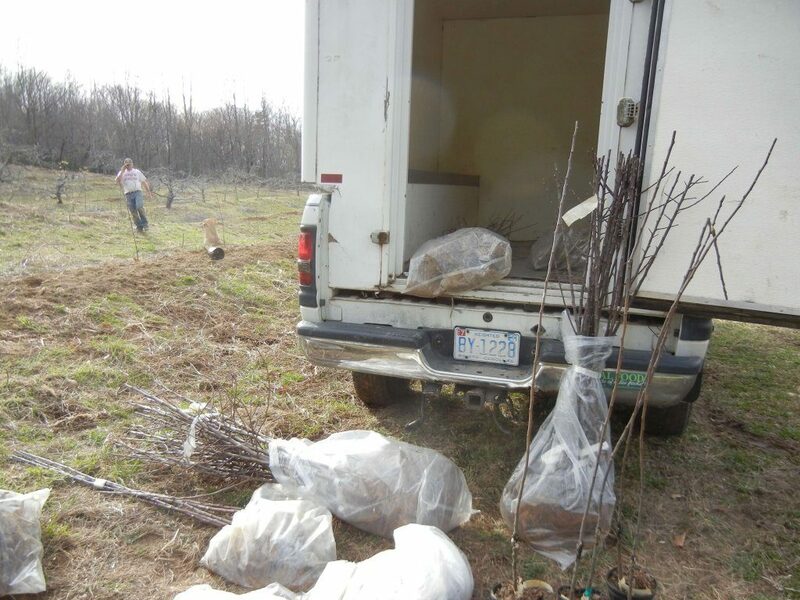 We were feverishly planting trees until almost 7 o’clock when it became too dark to read the labels on the trees. The only reason that we needed to get all the trees put in on one day was that the forecast for Friday and Saturday was, ‘rain and freezing rain’, a good thing for the young trees once planted, but not good weather to actually be planting in. It was our longest day in a long time but the work was enjoyable and it was certainly a fine day to be out and about. I actually got a little bit sunburned! I guess my winter pastiness was too delicate for the brutal sun of February. 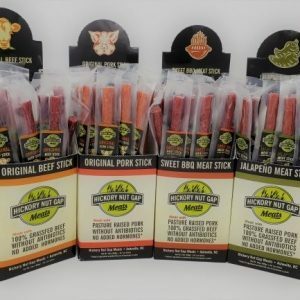 https://www.hickorynutgap.com/wp-content/uploads/2019/03/Hickory-Nut-Gap-Meats-Logo.png 0 0 Kelsey Winterbottom https://www.hickorynutgap.com/wp-content/uploads/2019/03/Hickory-Nut-Gap-Meats-Logo.png Kelsey Winterbottom2013-02-26 20:56:512013-02-26 20:56:51More Apples!